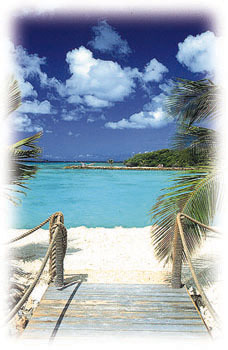 ...Arubans are famous for their friendliness and hospitality. Aruba has one of the highest rates of repeat visitors anywhere in the Caribbean. What continues to draw people back over and over again is the great pride and care that Arubans take to ensure that tourists have everything they could possibly need to make their stay both enjoyable and exciting. Arubans are famous for their friendliness and hospitality. The climate is perpetually sunny and welcoming, and great care has been taken to preserve and enhance the natural beauty of the environment. The tourist industry here is extremely well-organized, developed, and diversified, catering to a wide variety of different interests. Those who prefer privacy can find a secluded stretch of beach or go exploring through the countryside on their own, while those who are more outgoing can take advantage of Aruba's vibrant nightlife, the casinos, the discotheques, the different theme parties, the music and folkloric festivals. Those interested in another kind of wildlife can go bird-watching in a protected sanctuary or take a tour of a coconut plantation or hike through the Arikok National Park tracking the island's exotic flora and fauna. Sports enthusiasts can go scuba-diving in any of the 42 different diving sites, engage the incredible island winds by windsurfing, rent water-skis or parasails, or charter a boat and go deep-sea fishing. The island offers three golf courses, one of which is professional caliber, an ATP sanctioned tennis center, racquetball courts, trails to go horseback riding, even several bowling alleys. The different hotels provide a whole range of activities for singles, honeymoon couples, and families with children. 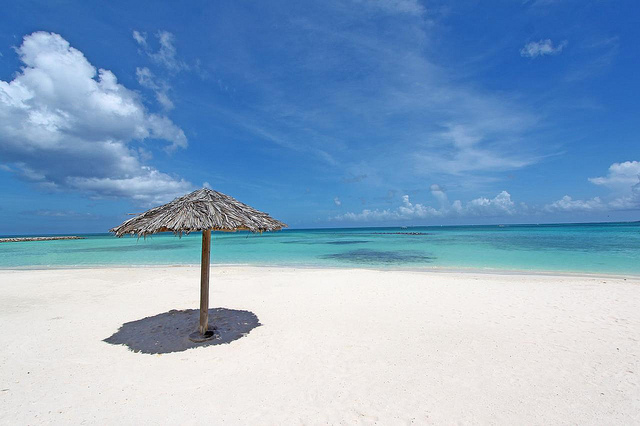 Whatever kind of vacation you are looking for, the odds are you will be able to find it in Aruba. Aruba enjoys a dry and sunny climate which is kept pleasant and temperate year-round due to the cooling effects of the trade winds. The average annual temperature is 83 degrees Fahrenheit (27 Celsius), and rainfall amounts to just 17 inches a year, most of which occurs during the months of October, and November. Aruba is located well below the hurricane belt. The persistent trade winds help shape the Aruban landscape.